Not that popular still AppleArt GTK2 theme when used with AppleArt icon theme makes up a nice desktop. 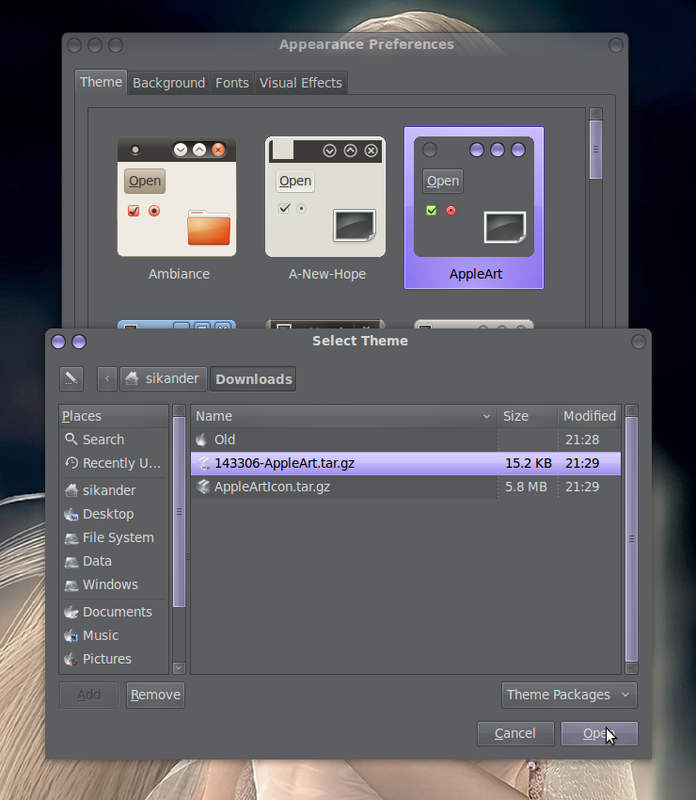 This theme is available for Gnome 2.x meaning that it can be installed in Ubuntu Natty and all older version. And also any other Linux with Gnome 2.x. The icon set is more biased towards an Apple icon, still not bad actually. Now right click your desktop and choose "Change Desktop Background". Go to the "Theme" tab and click "Install". Locate and install both of your downloaded archives one by one. At the main "Theme" tab, now you would see a new theme named "AppleArt". Just click it for applying. You can always customize the window borders, icons etc by clicking the "Customize" button. gconftool-2 --type string --set /apps/metacity/general/button_layout "close,minimize,maximize:menu"